It’s easy to understand its popularity. The great thing about taking on a walking holiday is that it offers stunning insights into some of the most charming landscapes in the UK, and offers a heart-healthy, great-value way to spend your holiday. Unless you choose to take part in a guided tour then walks will be free and can take in a wide range of local culture, heritage and landmarks. Depending on your interests, you can take in reservoirs, hilltops, stately homes, tiny villages, nature trails and many different insights into the forces that built the British way of life. 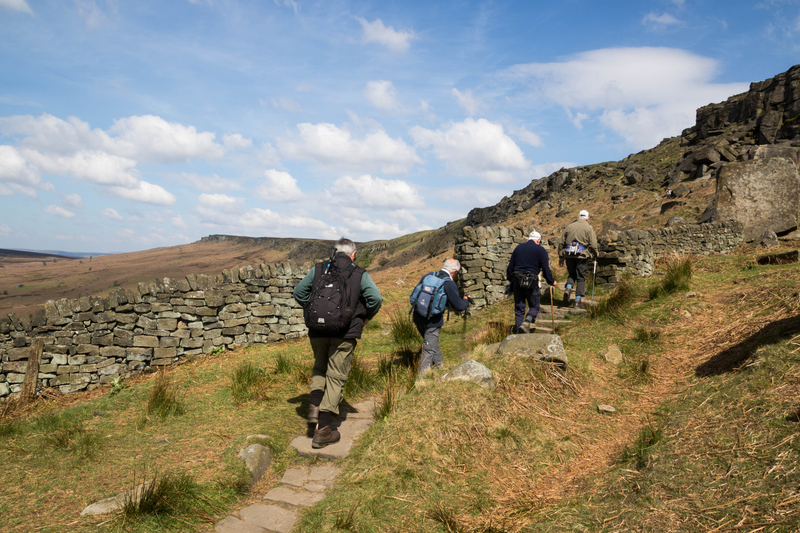 For example, the Kinder Scout, which runs from Hayfield, is remembered as is the route walked during the Mass Trespass of 1932 when walkers stood up for their rights to access the land and enjoy its pleasures. This protest led the way to the universal access rights we enjoy today. However, the Dales are not to be underestimated. If you are walking then always think about planning your path and make sure you have good shoes, appropriate equipment, a map and a compass at all times. If you’re looking for accommodation for walkers in the Peak District or surrounding areas, then consider one of our charming cottages with all the delights of the Dales at a maximum 30-minute drive. They also offer easy access to charming trots through Mother Nature’s finest work in the parishes of Atlow, Carsington, Hulland Village, Kirk Ireton or along the River Henmoor. Contact us now to inquire about your perfect holiday home.